December = The best month for comedy at The Tommyfield | Three Cheers Pub Co. Always Be Comedy always means Thursdays at The Tommyfield but seeing as it’s Christmas we are bringing you a very special extra show this month. Home to some of the best comedians around the world, our comedy night has seen Stephen Merchant, Jack Whitehall, Russell Kane and Russell Howard show us their latest stuff and boy have we laughed. We have surprise guests too, who are so darn BIG we have to keep it a secret, so rest assured you often get much more than you bargained for – all for just £8. BUT tickets sell out fast. So if you love your comedy, book in advance to ensure you don’t miss out. November’s shows are already all a sell-out. For one Tuesday night only, our beautiful upstairs Master Room will be home to ABC Royalty. 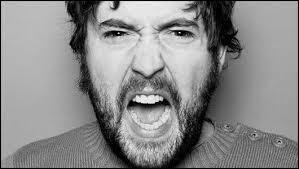 Mr Nick Helm will be previewing his new show at the Soho Theatre – just for us. Star of ‘Uncle’ and ‘8 out of 10 Cats’, this ‘loveable monster’ (The Scotsman) will be supported by The Tommyfield’s long term funny friend, the amazing David Trent. Boom! Romesh Ranganathan is back at The Tommyfield. Having also appeared on ‘Live At The Apollo’, ‘Mock The Week’ and ‘Stand Up For The Week’, we occasionally let him perform on our Master Room stage too. Next up is Tommyfield newcomer, Liam Williams. Described by The Guardian as ‘extraordinary…shatteringly funny…a comic who’s not ashamed to take the business of being alive seriously. 5 Stars’ – he’s definitely a bit of us. Jonny Pelham, nominated for Chortle Best Newcomer 2014 and a finalist in the BBC New Comedy Awards 2013, is up next and with James Gill on hand to MC, is going to be another corker. Our charity special, in aid of the wonderful Sparks children charity is back. This year, our favourite Joe Wilkinson, ‘8 out of 10 Cats Does Countdown’ and ‘Him and Her’…need we say any more, will be supported by Pappy’s – one of the best sketch groups around even starring in their own sitcom BBC 3’s Badults. More acts to be confirmed. Watch this space. ALL PROCEEDS will go to Sparks. Laugh and the world really does seem like a better place. Visit: The Always Be Comedy website. Always Be Comedy reserves the right to remove or substitute acts when required.